I was too young to ever see Free play live in their heyday. 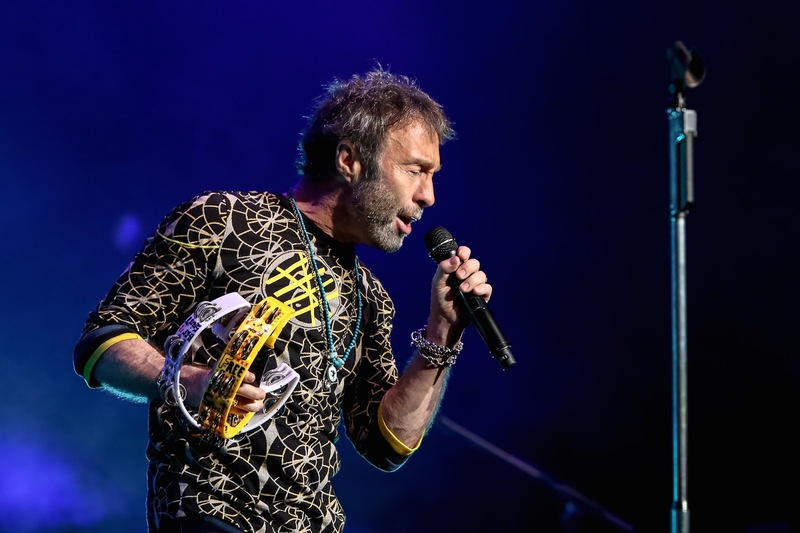 So my eyes lit up at the announcement of Paul Rodgers’ Free Spirit tour last year – but sadly I couldn’t make it to any of the shows. Judging by this 16 song recording of the Royal Albert Hall gig, I missed out big time. as if there were any doubt – that his pipes are still in excellent condition. Where some of his vocal contemporaries are struggling in their later years, Rodgers is still a powerhouse whose reach is undiminished. What’s more, as they get down to business on the gritty ‘Woman’ it’s apparent that he’s still the master of melisma, stretching syllables over several notes, and of wordless, “whoa-oh” articulation of soul. In fact in this mode the influence of soul giants like Otis Redding is so obvious that the labelling of Free as a blues rock outfit seems a bit lazy - soul rock would be more accurate. Rodgers is backed here by Deborah Bonham’s band, and if living up to the reputations of Paul Kossoff, Simon Kirke and Andy Fraser is a big challenge they seem to relish it. Guitarist Pete Bullick delivers a piercing solo on ‘Be My Friend’ that captures the depth of feeling well – and evidently pleases the crowd – and as the song progresses Gerard ‘G’ Louis’s piano backing emerges nicely. They ease off with ‘My Brother Jake’, although revving it up a bit towards the end as Bullick’s guitar fizzes and sparks, and continue in a lighter vein with the roomy simplicity of ‘Love You So’, with Rodgers colouring in the margins around the melody. ‘Travellin’ In Style’ is a sunny affair, with the audience warming up their tonsils for subsequent exertions, before ‘Magic Ship’ marks a shift in terrain with its mystical feel, the piano intro carrying some Celtic undertones before the rhythm section kicks in. Thereafter they get into the more muscular kind of groove that really does suggest blues rock. ‘Mr Big’ has a tense play-off between the guitar and Rich Newman’s drums, before Ian Rowley is showcased on bass, evoking Andy Fraser’s rubber band sound. ‘The Stealer’ has a mean strut, and another good solo from Bullick, while ‘Fire And Water’ has a soulful, rock steady straightforwardness. ‘The Hunter’ is brisk, and down and dirty, and then it’s party time on ‘Alright Now’, where Newman appears to dial up the beats per minute a fraction, giving it a fresh, zippier feel as the crowd sing themselves hoars. Then they crunch into ‘Wishing Well’ and that classic descending riff, again powered along nicely by Newman’s drumming towards those wonderful lines, “Put up a fight you believe to be right / And someday the sun will shine through”. The audience can still be heard singing along in the background, and I suspect there were smiles galore as they bathed in the warm glow of a trip down memory lane. For me the album peaks there, with the following ‘Walk In My Shadow’ and ‘Catch A Train’ exhalations to end the night, even though both are tough enough, the former with its big riff and some squealing feedback, while Bullick essays some very Koss-like guitar on the latter – a song never actually played live by Free. The album is titled Free Spirit: Celebrating The Music Of Free, and there’s certainly an air of celebration about it – even of a nostalgic love-in. And why not? It’s a strong body of work to celebrate, to say the least, and with Paul Rodgers’ voice well to the fore the spirit is alive and well. Free Spirit is released by Quarto Valley Records on 22 June 2018, in various formats including 2 disc CD/DVD including tour booklet.